A single tap opens up a popover view for individual news items. 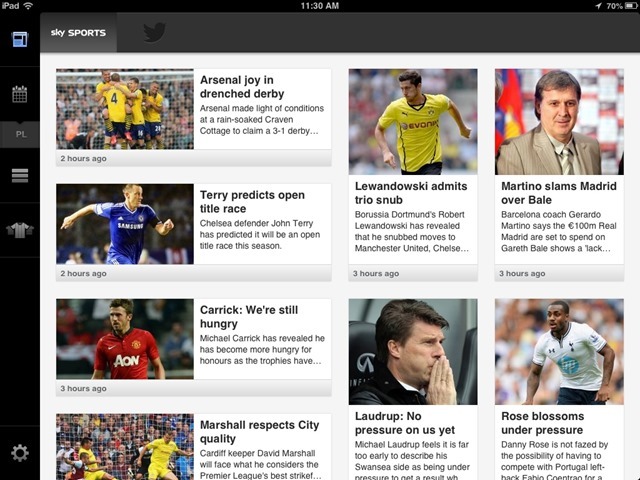 Below the News section is the Scores section. This shows live scores on match days, as well as past weeks’ results and future weeks’ fixtures. It also has sub-sections for scores and schedules for the FA Cup, Capital One Cup, Champions League, and the Europa League. There’s a section for the live Premier League table too, where you can tap on any team to see details on their season thus far, recent form, and upcoming fixtures. Finally, there’s a section where you can select your favorite team or teams. I’m a huge fan of football in general and of the Premier and European leagues in particular. 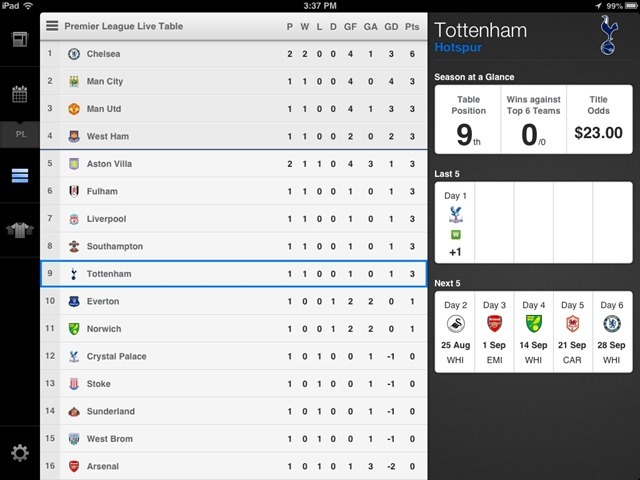 This is the best app I’ve seen so far for coverage of the Premier League. If you’re a Premier League fan it’s definitely worth a look. 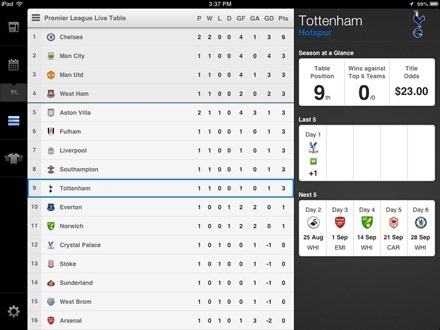 Here’s an App Store link for EPL Live 2013/14. Your link goes to the iPhone version of the app and not the ipad version. Just a little heads up.